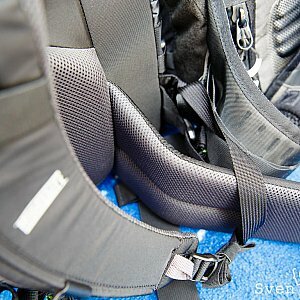 If you crawl though my gear category on this site you'll find a couple of articles (here, here and here) about gear storing options. With a growing number of cameras and accessories the need for space to carry them around grows as well. More gear means more weight so a comfortable wearing solution is very welcome. But sometimes you want to carry just a few items for which monster camera bags are too much. And why not use that fancy camera backpack for other purposes as well? 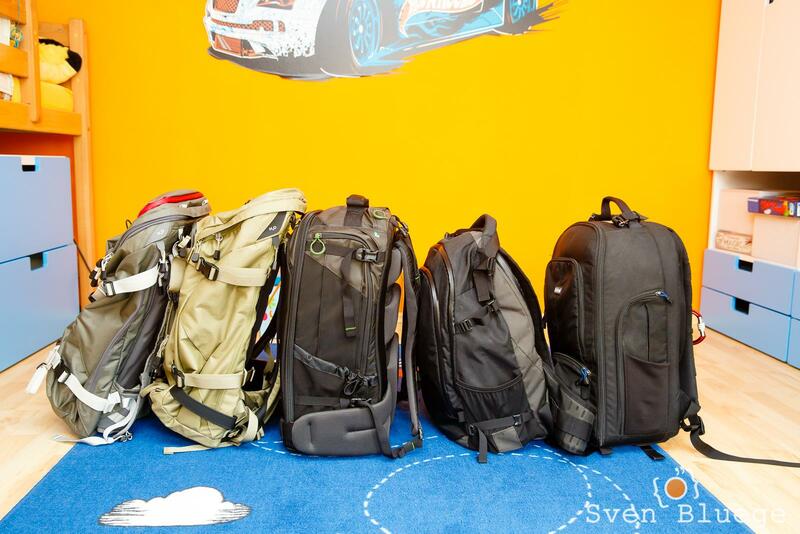 So the ideal solution is to get multiple backpacks. 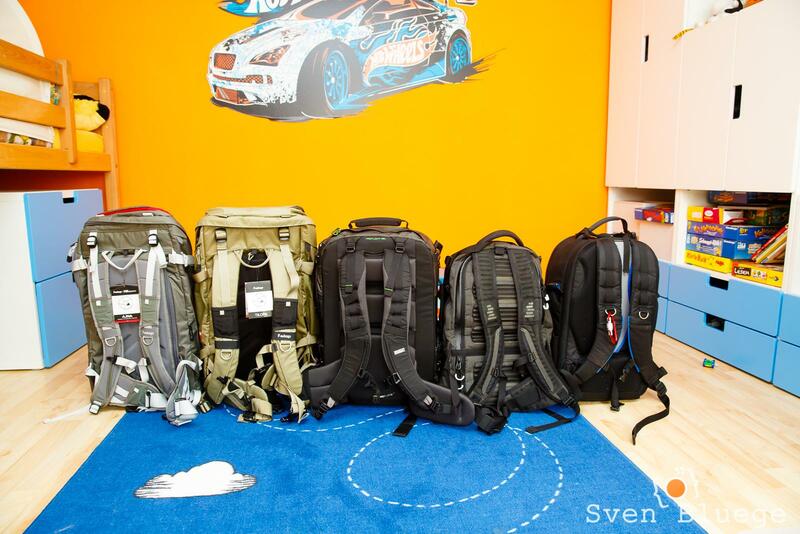 Of course in addition to a bunch of other carrying solutions like the Think Tank Photo Speed Racer shoulder bags. You can take this as a buying guide. Just be aware that it is not focused on low prices. Backpacks in this category are made for cameras only. Usually, you have thousands of dividers to fit the layout of the inlay exactly to your needs. For the last five years, I used the Think Tank Photo Streetwalker HD. Awesome thing (of course). Even after this long time, it looks like new. I would call it a medium sized rucksack. But it still has its size. The missing waist belt is a benefit since it does not add additional clutter to it. Sometimes I need to fit in more than possible so the wish for a larger version grew. But from Think Tank Photo there are no real alternatives in this category. But their daughter company Mindshift Gear has some very promising backpacks. I love backpacks in general and use them every day. But I don't need my camera every day. A backpack which can be used for just carrying my clothes or my notebook as well as my camera gear falls into this category. Until a couple of weeks ago I used the Gura Gear Uinta. With its module concept, you can quickly pull out the camera modules and put in other stuff. Even better: those modules are great to carry your clothes. Once you arrive at the hotel you pull them out and you're done. The Uinta can take two modules. A medium and a small one. On short trips, I use the medium one for clothes, toothbrush and things. The small one carries the camera. 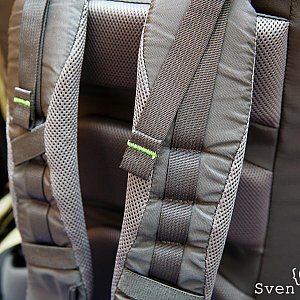 If you just have the notebook in it, you can use the compression straps to make this backpack very thin. This worked pretty well for me. But again, sometimes you need more space. So I was looking again for a better backpack. F-stop provides with the Ajna and the Tilopa two options for me. For both categories I wanted to get an upgrade. After doing a long research I finally nailed it down to two options: Mindshift Gear FirstLight 40L as a dedicated camera backpack and the F-stop Tilopa as a multi purpose one. In addition, I ordered the F-stop Ajna because of its smaller size. 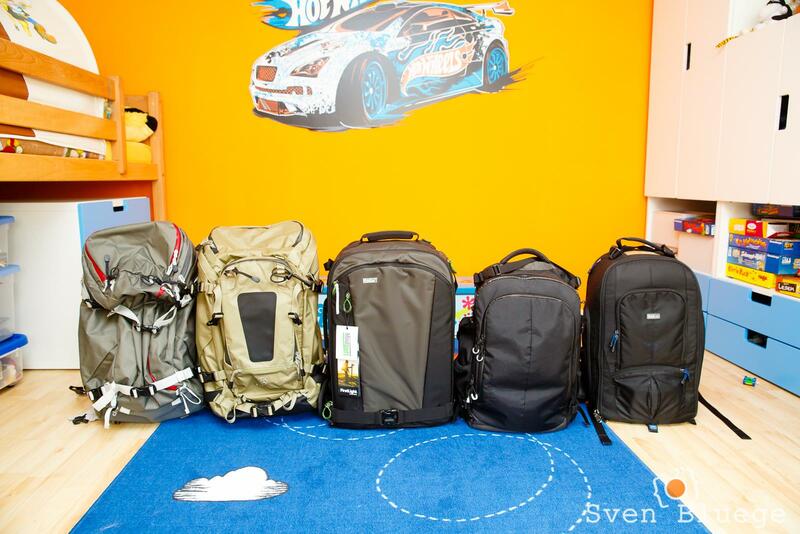 The following images should provide an impression of the size of those bags compared to each other. 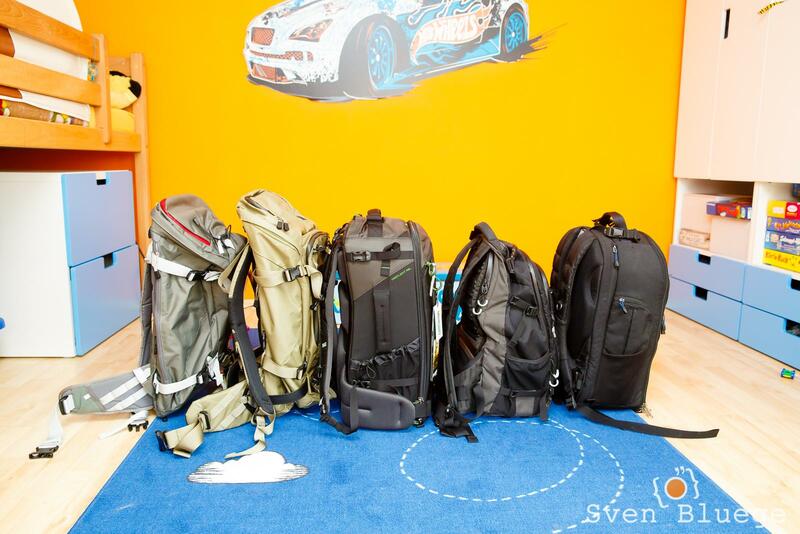 From left to right: Ajna, Tilopa, FirstLight 40L, Uinta, Streetwalker HD. From the first look they do look pretty similar regarding size. But they aren't. You can see that the Ajna, Tilopa and the Uinta have the option to compress the whole backpack if there is nothing inside. Only the Uinta has the modules inside and looks a bit larger on those images. 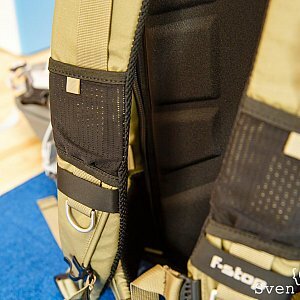 The two other backpacks lack that compression option since they have a fixed sized inner compartment. The module concept both of Gura Gear and F-stop rocks. 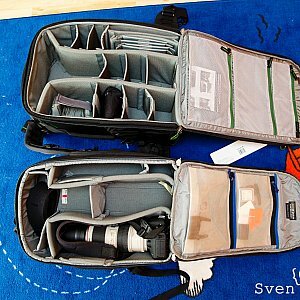 If you want to store camera gear only, it is a waste of space since the modules do not use 100% of the inner space. But in this case, you would use a dedicated camera backpack anyways, right? 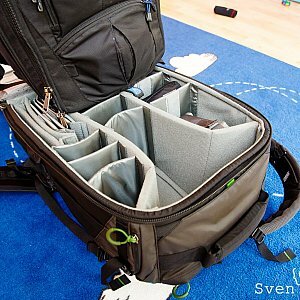 Those modules are customizable with dividers like any other camera bag. 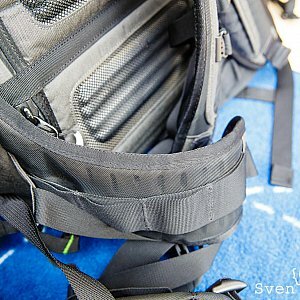 Inside the backpack, there are mounting points to fix the modules to prevent any movement. 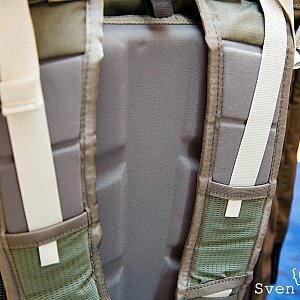 The modules are accessible through the back of the backpack. The Uinta has two flaps to access the modules: a small and a medium one. 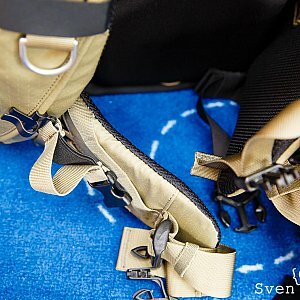 It is easy to access the top or the bottom of the backpack. Both the Tilopa and the Ajna have only one flap on the back which turned out to not be a disadvantage. 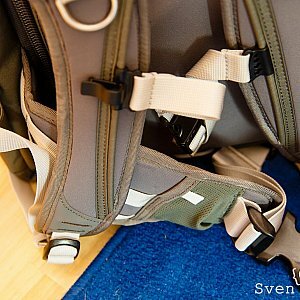 The padding of the shoulder straps are very important. 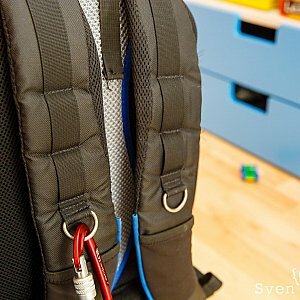 Don't forget you can add a lot of stuff which makes those backpacks very heavy. The Unita and the Ajna have just a very thin padding. While I did not use the Ajna, the Uinta is quite comfortable if you don't put too much stuff into it. 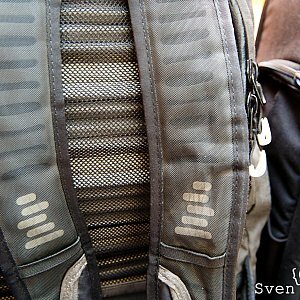 All other backpacks have thick padding on the should straps. The waist belts have the same padding as the shoulder straps. The image of the Streetwalker HD is missing here. It has just a very basic waist belt hidden behind the back padding. But you can attach a padded Think Tank Photo belt if you want to get some waist weight distribution. Both backpacks are pretty similar. The shoulder straps are pretty much identical. I don't know who had that stupid idea to remove the metal d-rings from the FirstLight 40L. From my perspective, they are very useful. I always have a carabiner attached to hook in my camera. The main difference is the waist belt and the size of the inner compartment. As you can see on the images below the FirstLight 40l is slightly wider than the Streetwalker HD which allows placing a third camera body with attached lens instead of just two. Backpacks are awesome! And you need many of them. I'm not sure if I keep the Uinta since the Tilopa is a very good replacement. It is larger but as a daily driver it is great. Different story with the dedicated camera backpacks. The Streetwalker HD is very sleek and offers a fair amount of space. I do miss a good waist belt from time to time since this thing can get heavy very quickly. The FirstLight 40L offers the largest space if you need to take a lot of camera gear with you. The waist belt helps to distribute the weight very well. Of course, I would use them only if I need to walk around with that gear. If you have a place to leave your backpack I always use the Think Tank Photo Airport Security v2.0. If you want to learn more about the backpacks on this page you might want to check out the links below.